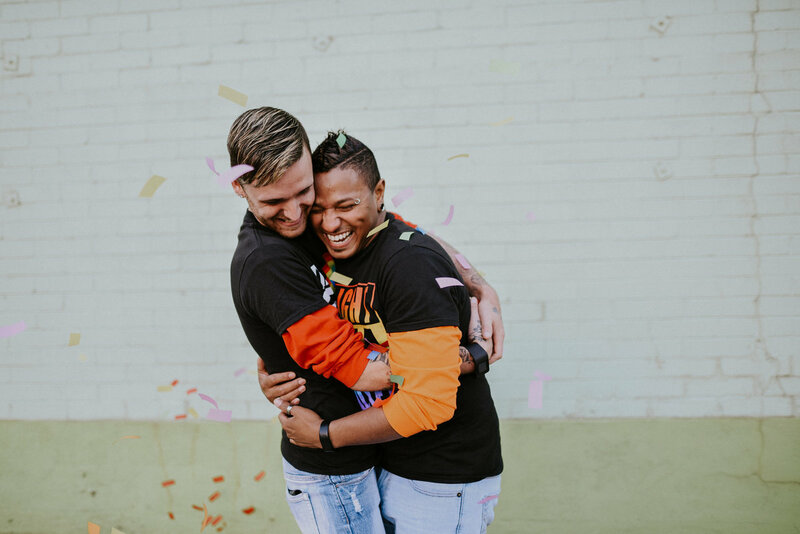 The Denver Pride Wedding is not your usual event. It didn’t start with the couple. 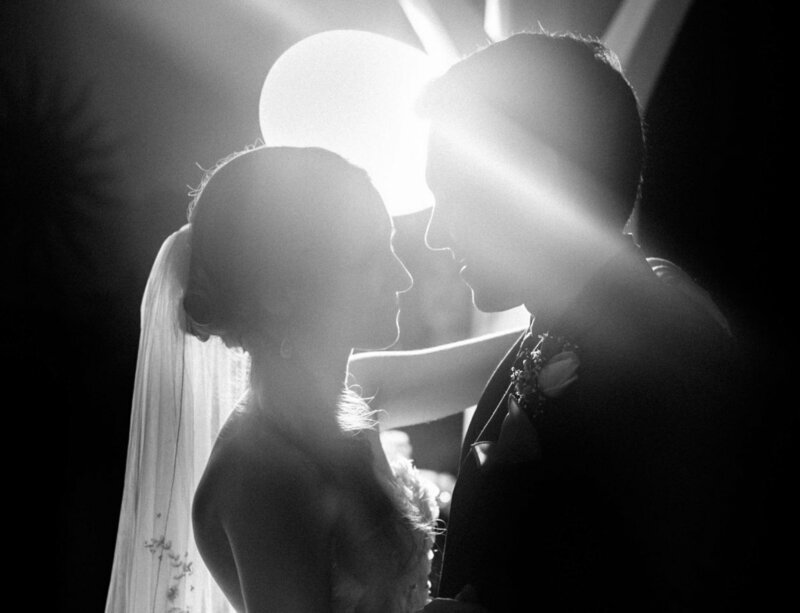 It started with a pair of wedding vendors, a planner and a photographer who were dreaming up fun things to create and photograph for publication. In the wedding industry, we like to call these “styled shoots.” A styled shoot is a mock wedding made to showcase the wedding vendors. 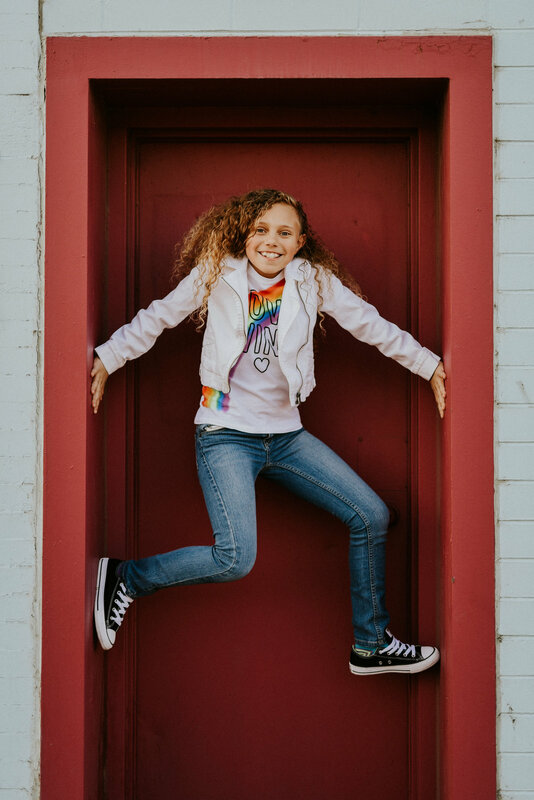 Carrie Swails and Mariah Lehnert had originally talked about rainbow styled shoots which morphed into maybe a PRIDE themed styled shoot. 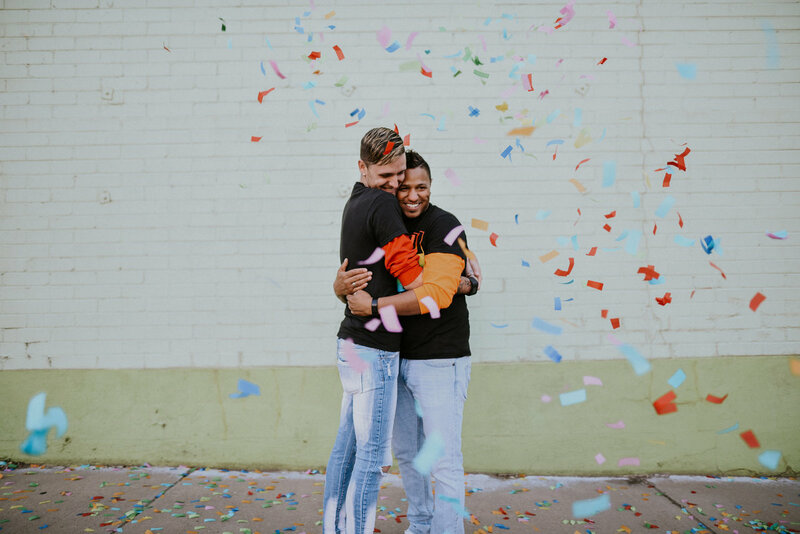 Then it occurred to them to take this as an opportunity to make a difference in the wedding industry and throw a real wedding for a real couple during Denver PRIDE. 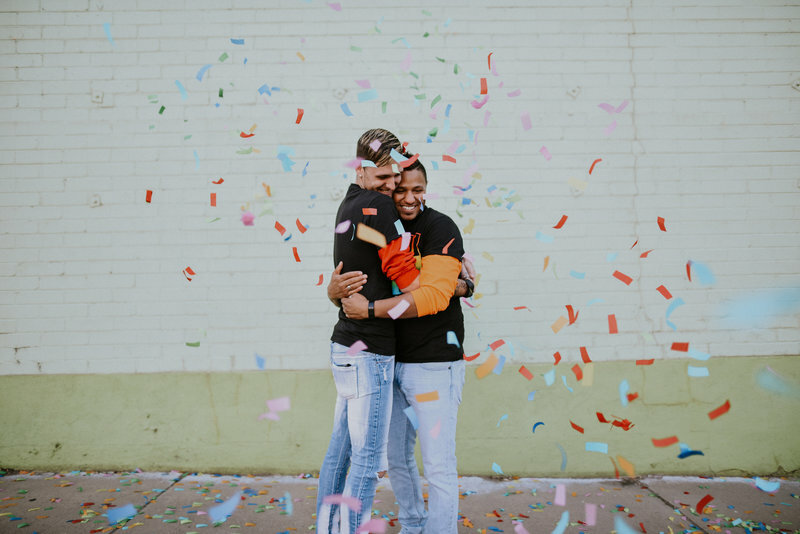 Inspired by the need to have the wedding industry more accurately represent the diversity of real couples getting married, they decided to reach out on social media and see if anyone might be up for their crazy idea to have a wedding in the actual parade. While the post was shared by a few friends, and other vendors, the response wasn’t huge. People thought the idea was amazing, but only one couple responded with their interest. Lucky for Carrie, Mariah and the Denver Pride Wedding team, the couple could not have been more perfect. 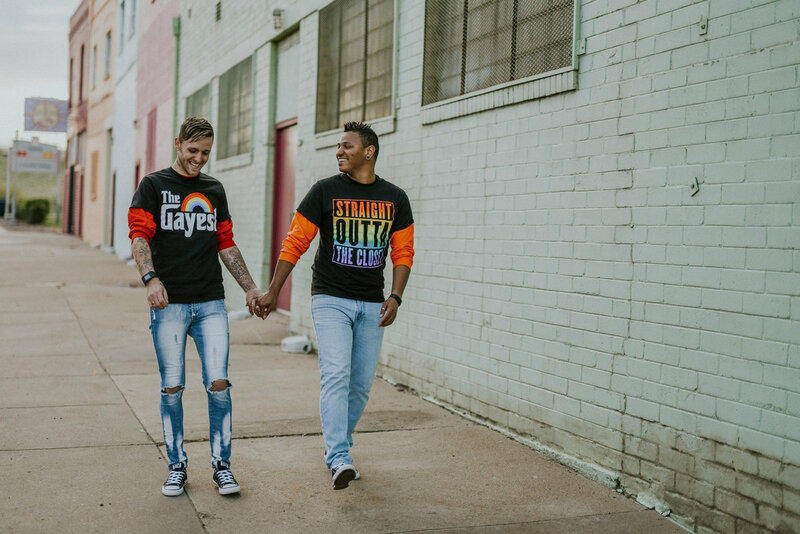 After months of planning and working together with their team of vendors, the Denver PRIDE Wedding team is excited to be throwing a couple named Dillon and Trent a wedding live in the parade in 2017. 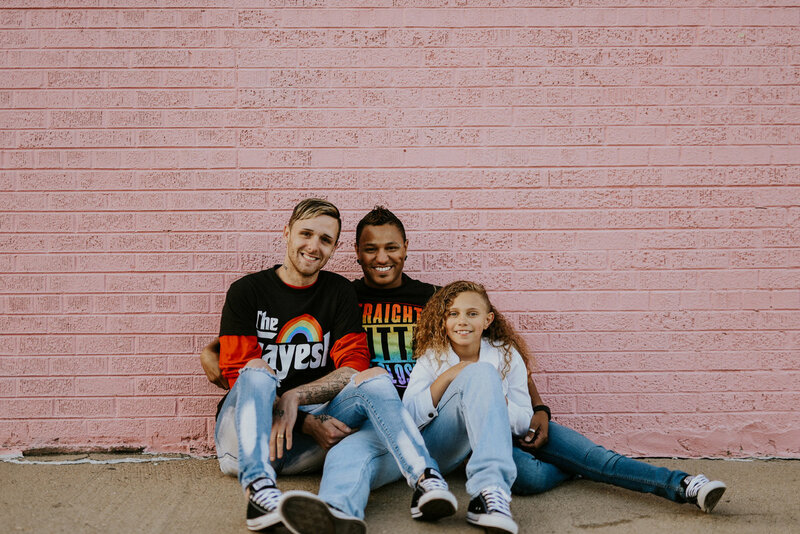 We hope you'll join us at the parade and afterward to follow their story. 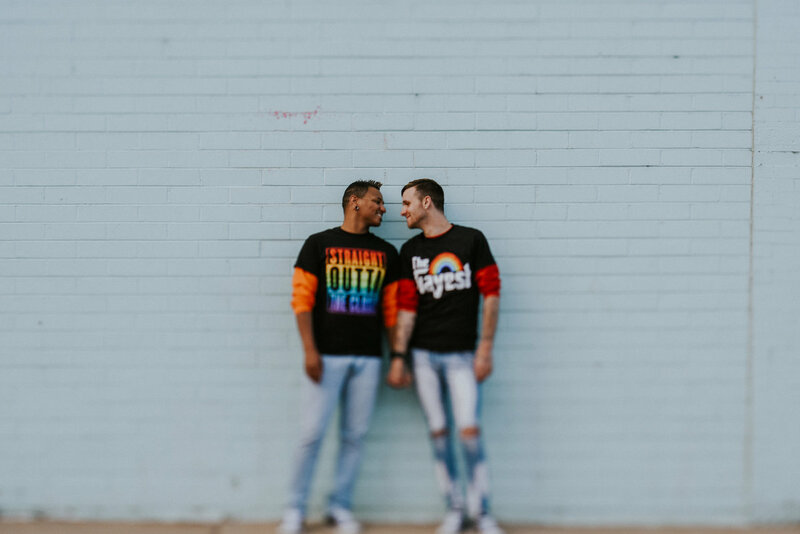 We can’t wait to document and help this couple celebrate their marriage in one of the most unique venues we’ve had the opportunity to work in and we’re so grateful to be a part of PRIDE and the LGBTQ+ community. 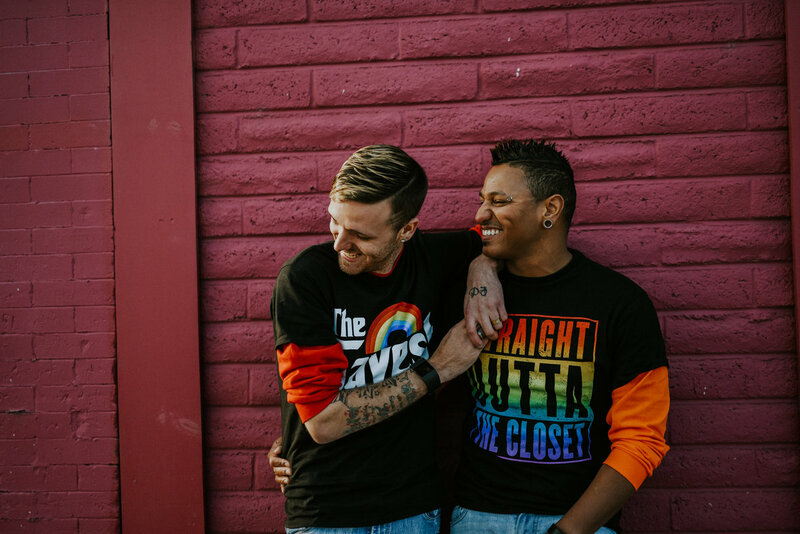 Dillon and Trent are thrilled to be getting married in the Denver PRIDE Parade on June 18th, 2017. With their sidekick, Cambri (Trent's daughter), they're excited to begin a brand new journey. 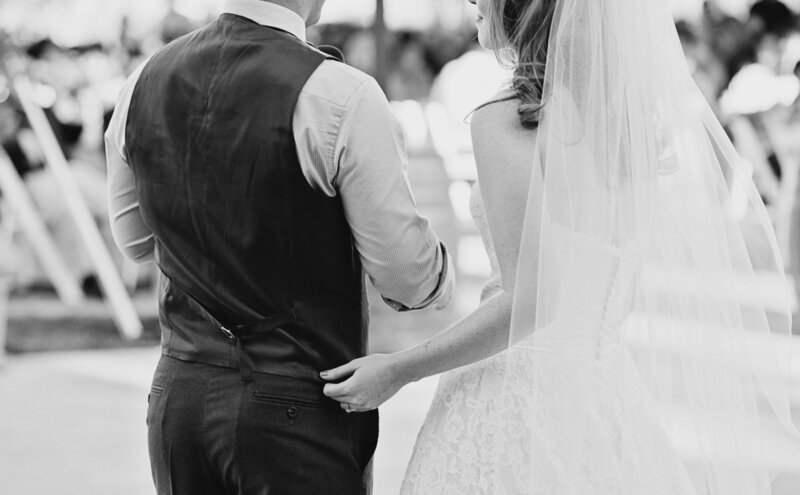 When these two found Carrie and Mariah they were thinking about getting married. Dillon and Trent saw the opportunity on a shared Facebook post and decided to give it a shot. These two met on Facebook, having no mutual friends. 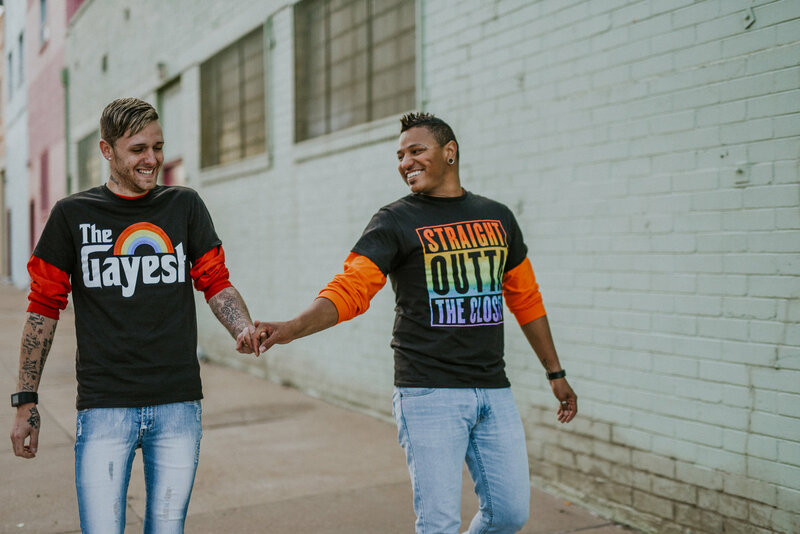 For two years they liked each other’s photos and posts, followed each other on snapchat and then one day Trent messaged Dillon after he had dyed his hair and they’ve been inseparable ever since! Eventually Dillon flew to Denver to meet in person and later moved here. 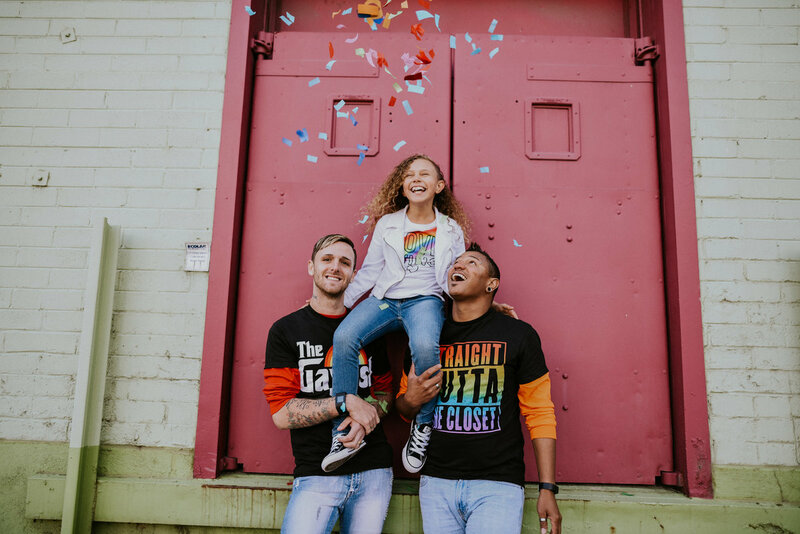 Now Trent, Dillon and Trent’s daughter Cambri are ready to become a family and celebrate it live in the parade with thousands watching! 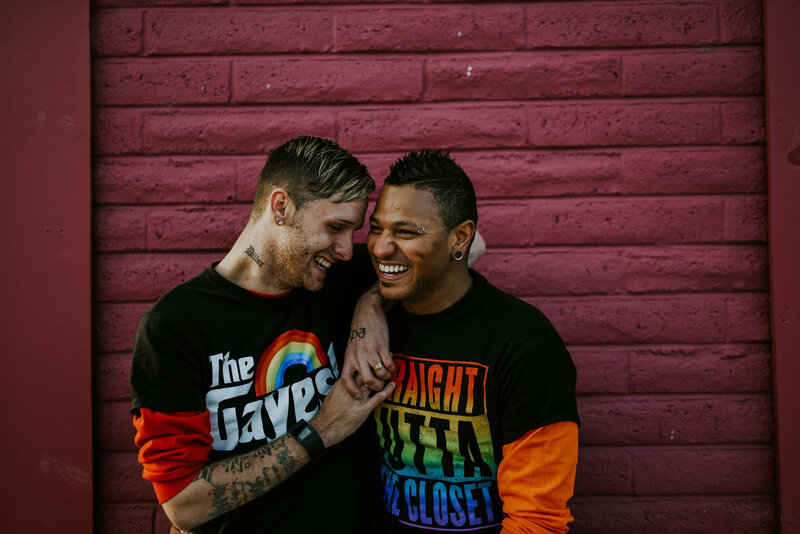 If you'd like to help Dillon and Trent celebrate their new life together feel free to donate to help fund the honeymoon of their dreams. 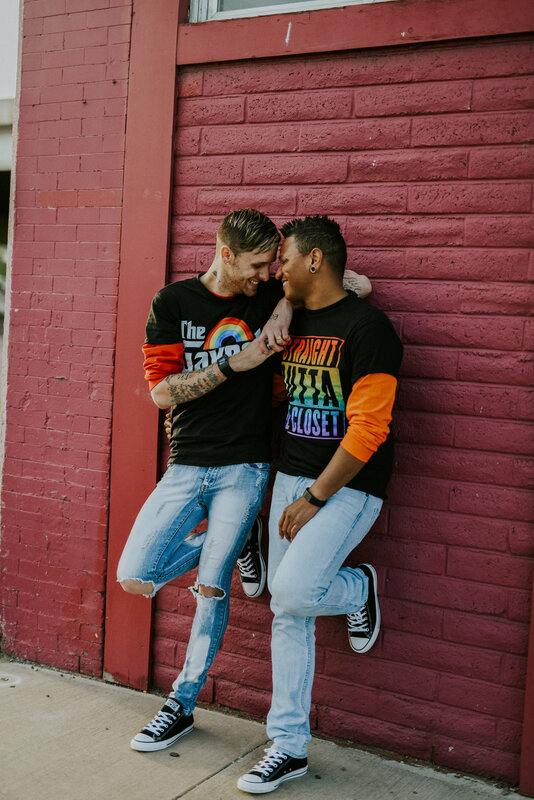 Dillon and Trent ask that their family, friends, guests, and anyone interested please celebrate by gifting them at the link below! Without the support of The Center in Denver we wouldn't be able to put on this wedding for Dillon and Trent. The Center has been a safe haven since 1976. 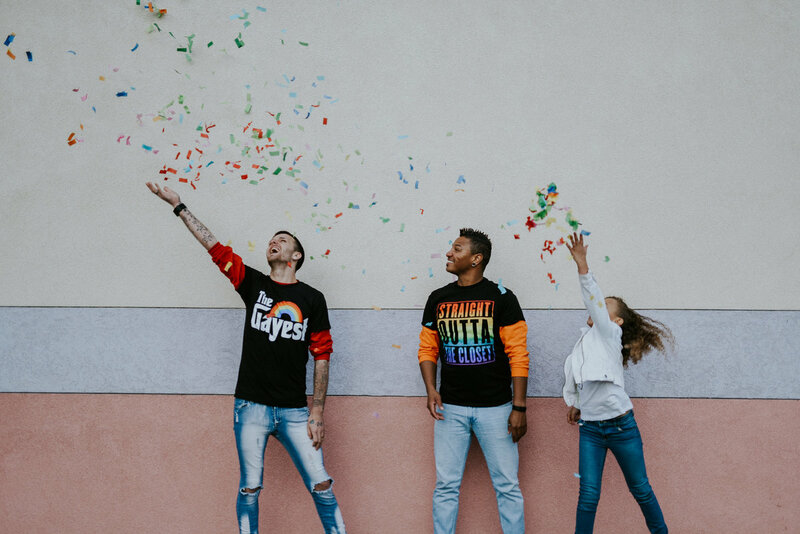 It is a place for acceptance, empowerment and support for the LGBTQ+ community. 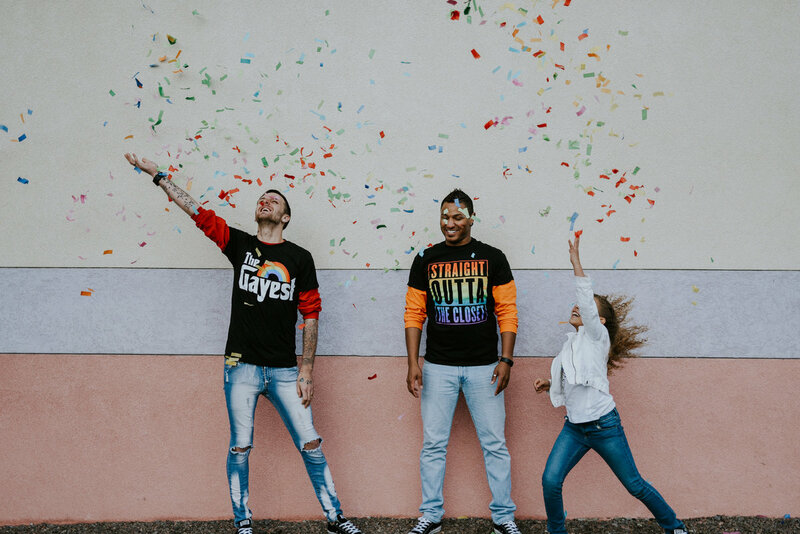 To continue supporting the LGBTQ+ community with their resources, social events, support and advocacy we ask that you take a minute and donate if you can!